“Emptiness Is a Long Story ~ The First 12 Years Revisited” was released on CD. 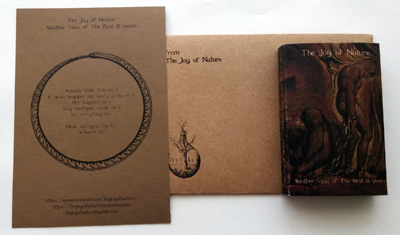 It’s a compilation of songs recorded and released during the first twelve years of The Joy of Nature’s existence. If one counts with the project that was on its origin – The Joy of Nature and Discipline – it’s already twenty years. All songs feature new arrangements and mixes. Most of the vocal parts were re-recorded and even some lyrics and titles were changed. 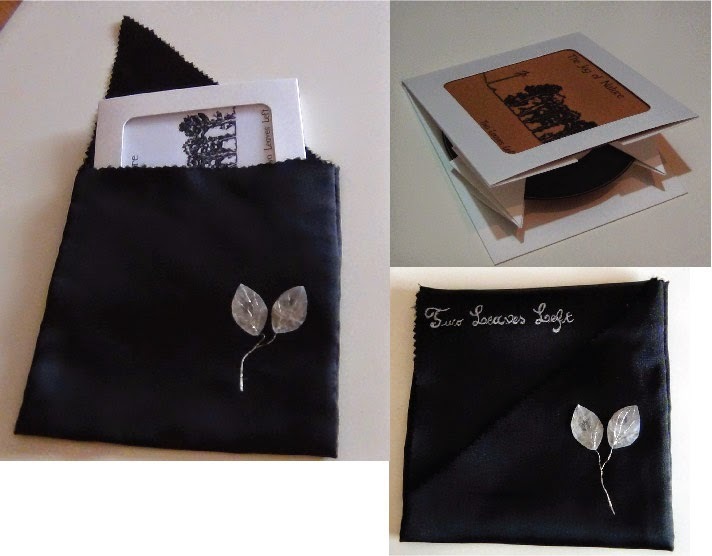 The CD comes packaged in digipak, with an eight-page booklet including the lyrics of the songs both in Portuguese and English. “Another View of The First 12 Years” is a compilation that complements “Emptiness Is a Long Story” and includes both unreleased tracks and new versions of old songs. It was released on cassette (with its tracks also available on digital format), in a limited edition of 50 copies that comes with a postcard in a custom envelope. Along these twelve years, The Joy of Nature was too prolific and, when one is too prolific, sometimes it’s difficult to keep consistency. The songs didn’t always come out the way they should and, only now, with more experience and other technical resources, it was possible to turn the songs into what was desired since the beginning. This is one of the reasons for the existence of these two compilations. The other is related to the fact that a chapter, related to the way the songs are created and recorded, is closed. From now on, maybe there won’t be huge aesthetic changes, but there will be changes in the way the songs are made. These two records feature the collaborations of Amanda Votta (The Floating World), B. Ardo (Sangre Cavallum), Costa Barbosa (Arde Fero, Triarca), Gr Matteo (Igniis), Lídia Magalhães, Mara Neves (Ladybug), MJ and Troy Southgate (H.E.R.R., Seelenlicht). “A Roda do Tempo” (The Wheel of Time), the new album by The Joy of Nature, was just released on CD by Cynfeirdd. It starts from where “The Empty Circle, part II” left, as it is a return to folk inspired songs in Portuguese. But while it keeps the dreamy sound present in previous releases, the songs are more energetic and focused than ever before. Its main theme is the cyclical nature of time, the cyclical nature of one’s individual life and the axis of the wheel, beyond time. The lyrics were taken from or inspired by different sources – from traditional poetry from the Azores and Celtic peoples (Irish and Scottish) to ancient Chinese poetry (of Taoist inspiration) –, as all show a similar view on Fate and Will. Power over sadness observing the inevitable passage of time. 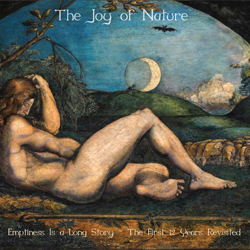 It is the most ambitious work by The Joy of Nature since the trilogy “The Empty Circle” and contains 16 brand new tracks and more than a hour of music. It features the collaborations of Costa Barbosa (Arde Fero, Triarca), Paulo Coimbra Martins (Archetypo 120, Oktober Black), João Malaquias and Joana Matos. Everything follows its own course, so no ending should ever be announced. After some time of inactivity, The Joy of Nature is back. In the meantime, a new side-project to The Joy of Nature was created – Moving Trees – in fact, it is a continuation of two other – Moving Coil e aquarelle. The change of name is due to the fact that those names were taken by other artists.